“Luzon’s devils” is a tradition transmitted from generation to generation, with possible Celtic-medieval origin and declared Activity of Provincial Interest. Men, women and children wear devil’s costumes with big cowbells (called “tricks and canyons”) and animal’s antlers, painting their bodies with a paste made of soot and oil and placing raw potatoes on their mouth like big tooth. 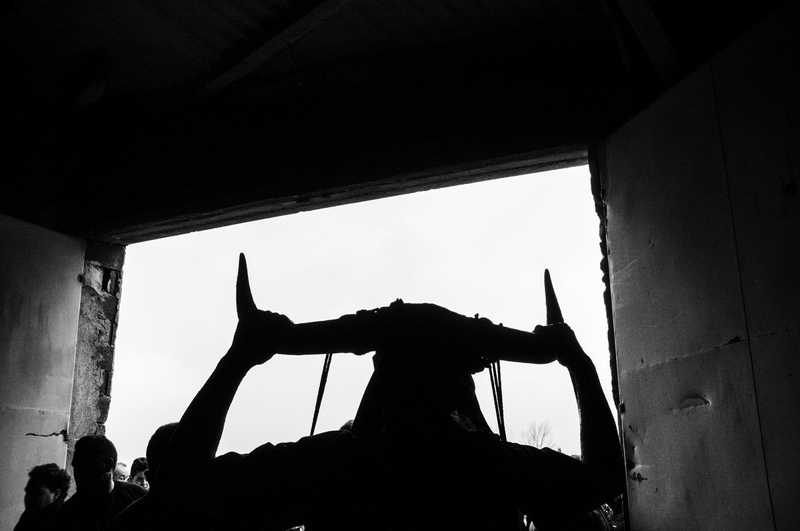 david arribas Documentary Projects Blog Rural carnivals in Spain.